Last year we got a great giveaway comic from IDW for Halloween ComicFest. They didn't have any Disney comics this year, but instead we got a new Halloween title on sale, and we got Disney titles from 3 other publishers for Halloween ComcFest. 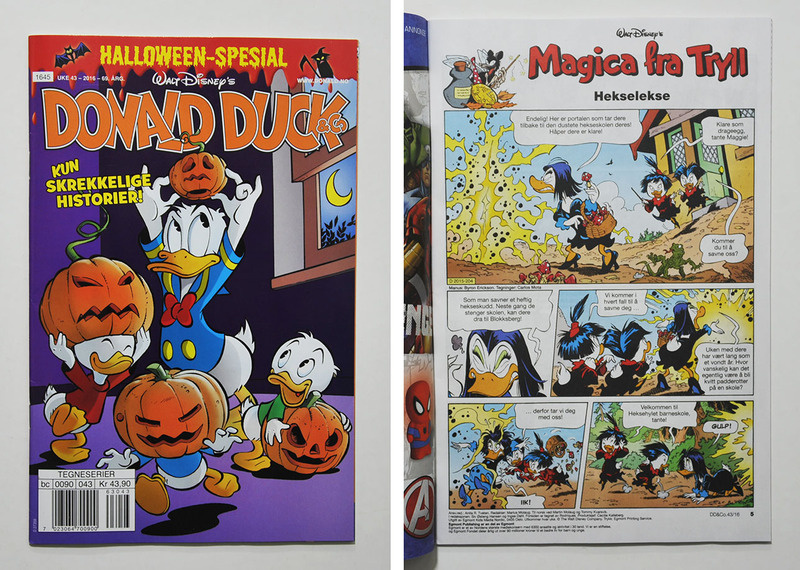 The Halloween ComicFest edition reprints the entire first issue of the 5-part series published earlier this year. 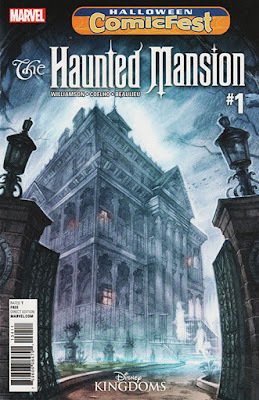 The Haunted Mansion is the 5th series in Marvel's "Disney Kingdoms" line and is based on the Disneyland attraction with the same name. This comic has a 16-page excerpt from the manga by Jun Asuka. It's sold in 25-packs and intended to be given away at Halloween. 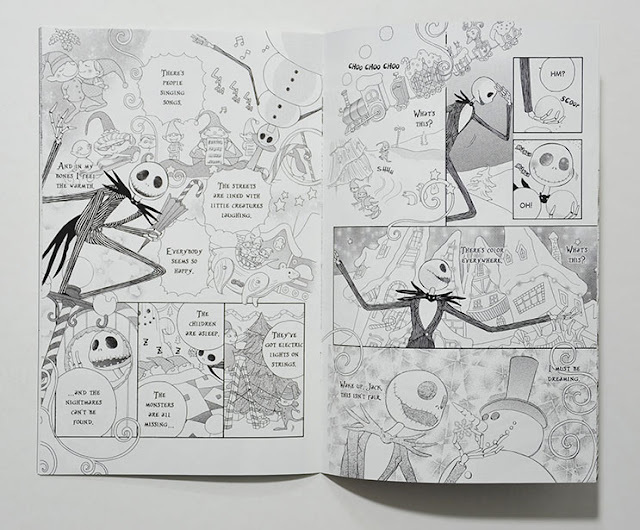 The comic is promoting the upcoming Tokyopop edition of the manga, but it's already published in English by Disney Editions in 2005. The new edition seems to have mostly the same dialogue as the Disney Editions one, with small adjustments here and there. This comic is also sold in 25-packs like Nightmare Before Christmas and we get the first 12 pages Mickey's Inferno inside. The full story will be published as volume 4 of Papercutz' "Disney Graphic Novels" series, but also under the logo title "Great Parodies" (a bit confusing). The text is a completely new translation/text adaptation different from the one Gemstone did 10 years ago. As it's written in rhyme you can't just do a normal translation, so it's going to be interesting to compare the different versions. The coloring used in the Papercutz version seems to be the same as used (elsewhere) in the 73 page censored and slightly remounted version of the story, so I assume that is the one we are getting from Papercutz. From IDW we got the first issue of a new series just in time for Halloween. 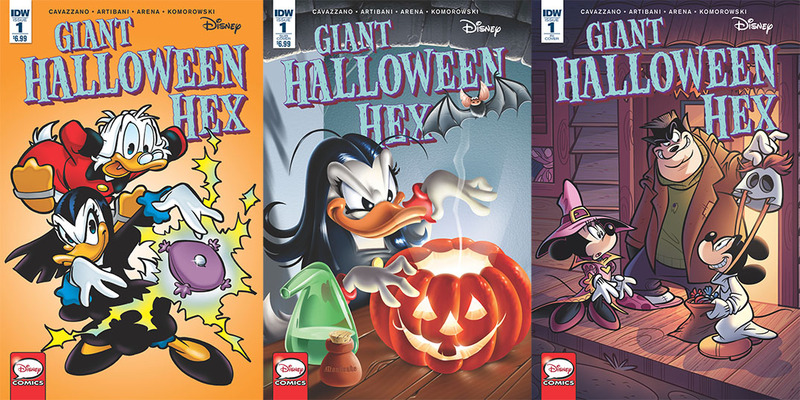 Most of Giant Halloween Hex is a long 57 page story with Magica De Spell, but we also get another Magica 1-pager and a story with Witch Hazel. In The Great Rock of Power-Plus! 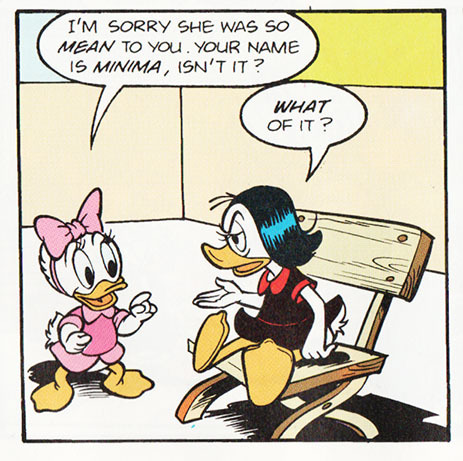 we get to meet Magica's family for the first time. 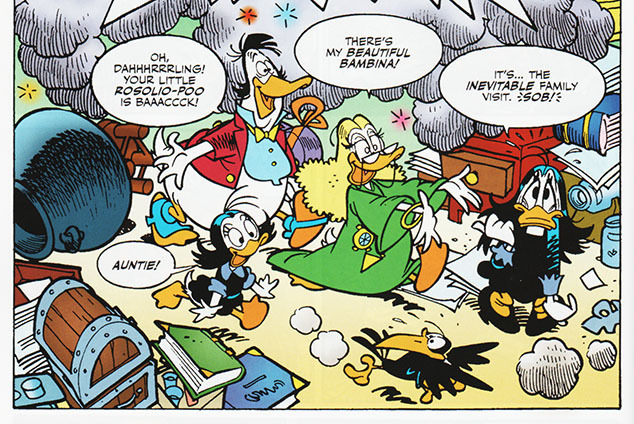 I hope Giant Halloween Hex is going to be an ongoing series with a new issue next year, and I wouldn't be mad if we get to see Magica's family again. 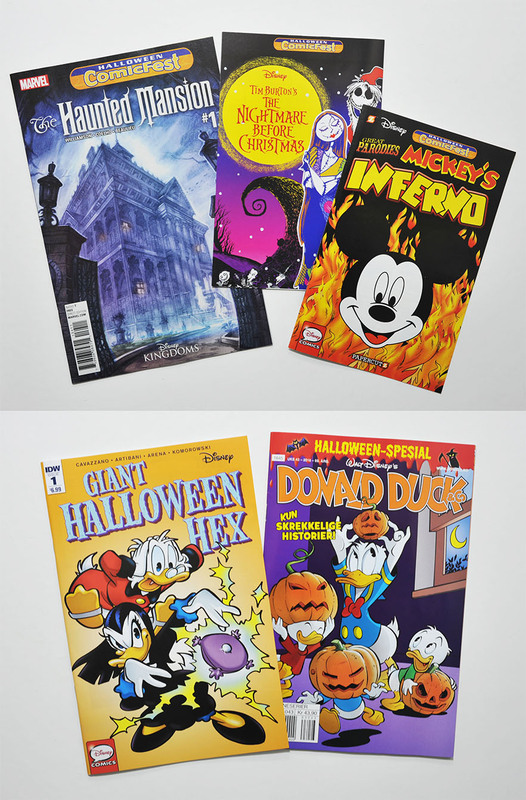 In northern Europe we got a new story with Hocus and Pocus in the Halloween issue of the weekly Disney title. Both are two aspiring witches that calls Magica "aunt", but they are not really related to her. It's the 3rd story featuring Hocus and Pocus, written by Byron Erickson and drawn by Carlos Mota. They haven't been introduced to American readers yet, but I hope that will happen someday! About Hocus and Pocus; The Norwegian print of the first story, A Hocus Pocus Halloween, have a note saying they are created by Daniel Branca. But they are never used in any Branca stories according to inducks (and my memory). Anyone know more about this? Ugh... That Zootopia joke in Mickey's Inferno. Way too forced. squeakyboots13: In relationship, that this story is almost 100 years old, even more! @squakyboots: I agree. Especially because it's not the place of an anthropomorphic mouse whose best friends are a cow, a dog and a horse to refer to the world "Zootopia" as something really odd. Generally, I wonder why they're making a new translation at all. 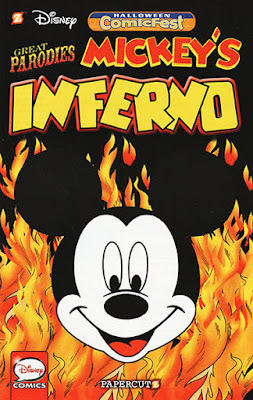 The Gemstone print of Mickey's Inferno was a cut and remounted version of the story, so part of the story hasn't been translated to English before. And for this story especially they would have had to hire the same translator as last time to get a good translation in the same style for the missing part. Also (I don't really know anything about this), even if Disney has copyright on the story and the original script they might not have copyright on every translation of it. So one publisher might not be able to use a translation without permission by the earlier publisher that payed for it. * The same translation of Raven Mad was used by both Gladstone and Boom! * The same translation of It's a Wonderful Christmas Story was used by both Gemstone and Boom! 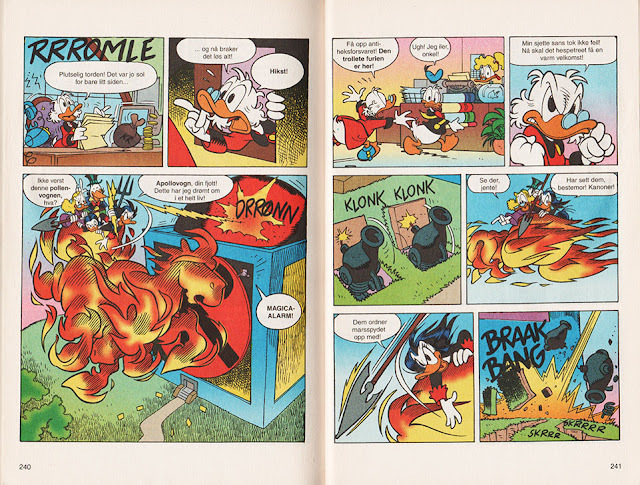 As long as I've been working with Disney comics, Disney has required (rather sensibly) that they become the owners of any and all local translations, so any can be reused later on. But we don't always do it. On "The Secret of Mars," Fabio Gadducci and I had been unhappy with the published 1994 version, and revised it for Fantagraphics to make it more authentic and give it more of a 1930s sound. 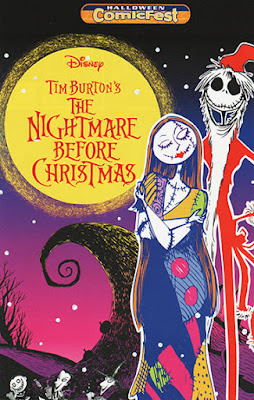 So will all these stories included in the free books like the holiday and FCBD stuff ever be collected? The Halloween comics this year were just a preview (not complete stories), and by now Tokyopop has published their Nightmare manga and Papercutz have published the book with the full Mickey's Inferno story. And The Hauntend Mansion is also collected in a trade paperback I believe (don't have that one).